John Pimentel founded White Hat Renewables, a holding company which invests in and operates project development companies in: distributed/utility scale wind, utility scale solar, on-site commercial wastewater treatment, energy efficiency/lighting, biomass conversion and waste oil recovery. 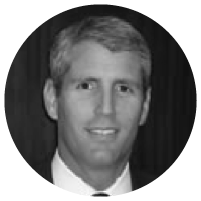 John has been the co-founder and President of Sustainable Water Solutions and Foundation Windpower, the co-founder and CEO of Panoche Valley Solar, and the co-founder and Director of Pacific Ethanol (PEIX). Earlier in his career, John served the State of California as Deputy Secretary for Transportation where he oversaw Caltrans, Highway Patrol/State Police, California Transportation Commission, and the commercial sector of the Department of Motor Vehicles. He served on the Bay Conservation and Development Commission (BCDC) and managed the Governor’s Executive Fellows Program. In 2018, John launched efforts to create and grow a new political movement in California to meet the needs of voters who are not adequately served by the two existing political parties. John graduated from Harvard Business School (MBA), and UC Berkeley (BA). He lives in Menlo Park with his wife and 3 children.